"A strong army is needed now more than ever," said Xi Jinping. President Xi Jinping said China needs to speed up the modernization of its military to fend off threats in increasingly dangerous times. "The world isn't safe at this moment" Xi, wearing a camouflauge military uniform, said on Sunday after riding in an open jeep at an army parade in Inner Mongolia. "A strong army is needed now more than ever." The speech came just hours after U.S. President Donald Trump lambasted China for failing to do more to stop North Korea's nuclear program, saying "we will no longer allow this to continue." North Korea, which relies on ally China for food and fuel, test-fired a second intercontinental ballistic missile late on Friday night. Over the past two years, Xi has overseen the most sweeping changes to China's military since the 1950s in an effort to create a fighting force that can win modern wars. The modernization drive, which has focused on expanding China's air and naval reach, is challenging more than 70 years of U.S. military dominance in the Western Pacific. The parade at Zhurihe Training Base on Sunday marked the 90th anniversary of the creation of the People's Liberation Army. It featured the Chengdu J-20, China's stealth jet fighter that some have compared to the F-22 Raptor. About 40 percent of the military equipment in the parade was publicly displayed for the first time, according to Phoenix TV, a pro-Beijing media outlet. Two decades of budget increases on the back of surging economic growth have turned China into the world's second-largest military spender. China's neighbors have grown increasingly worried about its increased assertiveness over disputed territory in recent years. Xi is reducing the 2.3-million strong force by 300,000 troops, mostly from the army, while expanding the navy and adding new rocket, cyber and outer-space capabilities. 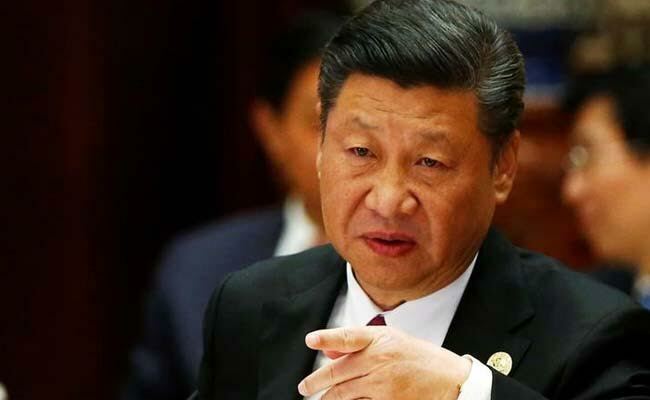 He's cut the number of military regions to five from seven "joint theater commands," and strengthened China's Central Military Commission, the Communist Party body that runs the military. China's military will remain by far the world's largest, with more than 600,000 more active service members than the U.S., according to estimates by the International Institute for Strategic Studies. The primary goal of the PLA is to ensure the Communist Party stays in power -- a mission Xi reminded troops of on Sunday. "Heed the party's order forever, follow the party's step forever, and always fight toward the direction where the party points," Xi said.